There have been two major rumors in the past month about the future of the Mac. It’s clear in the past several years that much of Apple’s development effort has been geared towards Apple’s mobile operating system, iOS, which powers iPhones and iPads. Apple has also been introducing new platforms, such as Apple Watch and HomePod. Through all of this, the Mac has been gaining features at a snail’s pace. It seems like Apple will only add features when it feels it must in order to match something it introduces first on iOS. But these recent rumors point to a Mac platform that could be revitalized. The first major rumor is a shared development library between iOS and the Mac. What does this mean to non-developers? It means that we could very well see iOS apps such as Snapchat or Instagram on Mac. MacOS uses a development framework called AppKit. This framework stems back many years to when Apple bought a company called NeXT computer. These systems are what eventually became the Mac, and the underlying framework has stayed largely the same since then. Obviously, there have been changes and many additions, but it is still different from what developers use to make iOS apps for iPhones and iPads. iOS uses a framework called UIKit, which is very different in key areas. Basically, it means that to develop an app for the iPhone and the Mac takes twice the development effort. 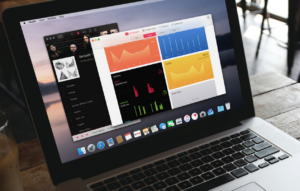 Supposedly, Apple is working on a framework for the Mac that is virtually identical to UIKit. This means that developers can port their apps to the Mac with basically no work. In theory, the amount of apps on the Mac would increase as developers port over their iOS apps to the Mac. This means many communication apps such as Snapchat and Instagram could be usable desktop apps. What Apple’s future macOS framework could look like. The second major rumor is that Apple is expected to switch from Intel provided CPUs to their own ARM based architecture. Apple switched to Intel CPUs in 2006 after using PowerPCs for many years. This transition brought along an almost 2x increase in performance compared to the PowerPC chips they were using. In the last few years, Intel hasn’t seen the year over year performance increases that they used to have. Additionally, Intel has been delaying new architectures as manufacturing smaller chips gets harder and harder. This means Apple is dependent on Intel’s schedule to introduce new features. On the other hand, Apple has been producing industry-leading ARM chips for use in their iPhones and iPads. These chips are starting to benchmark at or above some of the Intel chips that Apple is using in their Mac line. Rumors are saying that the low-power Macs could see these new ARM based chips as soon as 2020. The major caveat with this transition is that developers could have to re-write some of their applications for the new architecture. This means it might take some time for applications to be compatible, and some older applications might never get updated. Its clear that Apple’s focus in the past several years has been on its mobile platforms and not on its original platform, the Mac. But these two rumors show that Apple is still putting serious engineering work into its desktop operating system. These new features could lead to a thriving Mac ecosystem in the years to come. This entry was posted in Operating System on May 14, 2018 by sschmitt.